The former “Boy Band” contestants are competing once again in the music world with brand new tunes. Their genres may slightly differ, but the ultimate audience is the same. 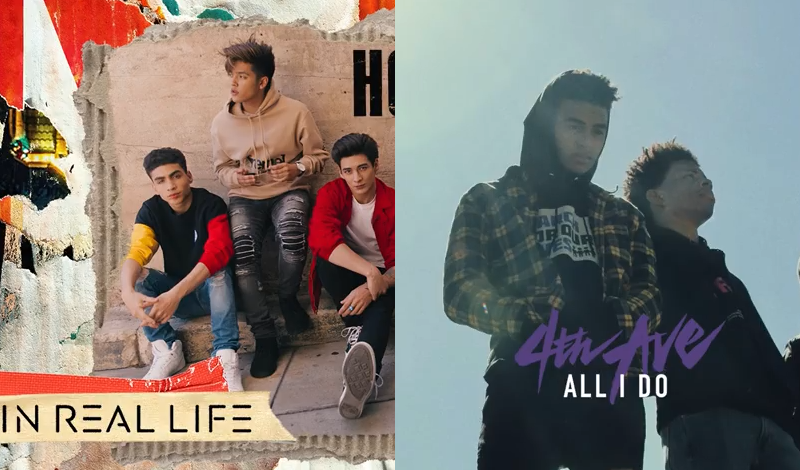 This month, pop group In Real Life dropped their Latin inspired single “How Badly”, while R&B band 4th Ave released their trendy “All I Do” song. There’s no denying the extraordinary talent in each group, but which team’s music do you prefer? Listen to their latest tracks and take the poll below to support your treasured boy band. All rights to the screencap and videos belong to Hollywood Records and 4th Ave Music. This entry was posted in Entertainment, Music, News and tagged 4th Ave, boy band, In Real Life. Bookmark the permalink. 2 Responses to In Real Life Vs 4th Ave: Which Group is Better? Haha Spoken like a true fan! 🙂 Thanks for showing support for the band you love.